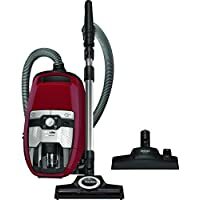 Amazon.co.uk stock a wide range of vacuum cleaners, including upright vacuums, cylinder vacuums, handheld vacuums, robotic vacuums, stick vacuums and wet-dry vacuums. Whatever type of vacuum you need, you can be sure to find it here. The best selling upright vacuum cleaners at amazon.co.uk including models from Panasonic, Vax and Dyson. Check out the range of Miele vacuum cleaners available at discount prices from Amazon.co.uk. When you buy a Dyson vacuum, you’ll find the machine and tools inside the box. But owning Dyson technology doesn’t stop there. Here’s everything else you can expect.